Jenny…the heart and soul of Lallybroch – My Outlander Blog! When Laura Donnelly joined Twitter, the fans of course welcomed her with open arms and gratitude for her part in bringing another of our favorite characters to life. 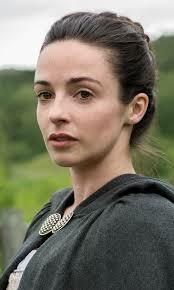 We’ve had a small sample of her portrayal of Jenny in Outlander on Starz and we are anxious for more! A ten gallon woman in a pint size package. Jenny’s personality has always seemed to be bigger than life. Jamie might be the laird of Lallybroch, but Jenny is its heart and soul. I’ll admit there were times I was angry at Jenny (her part in the whole “leghaire” fiasco comes to mind), but mostly I was in awe of her capacity to love. One of the most revealing scenes about Jenny I’ve ever read was when Jamie describes her taking over the kitchen the day her mother died. He describes Jenny delaying her own grief because she was needed by her family. Her mother was gone and Jenny knew someone needed to care for her father, Jamie and Lallybroch, so she did. I can just see her in a too big apron standing on a chair ordering her world to continue on. Even as a young girl her strength of purpose and character made her a force to be reckoned with. It seems to me that one of the best things that could happen to a person would be to be loved by Jenny Fraser Murray. The woman loves hard and long and with passion. I just reread the Lallybroch homecoming scene and found myself laughing out loud at the domestic squabble between brother and sister. I’m going to love seeing Jamie and Jenny nose to nose over that day in October! What a great scene! Who didn’t absolutely crack up when Jenny grabbed her brother by the balls…literally! Only a sibling could dare to embarrass a person that much! Most people with siblings have learned through experience, that brothers and sisters seem to know right where to “grab” to get your attention! The resulting moment between the two is so poignant that Claire feels like she is intruding and steps from the room as the two embrace. Despite the anger or disappointment Jenny often directs toward him, even Claire admits that Jenny is the one person who may love Jamie more than she does. I’ve also always believed that no one knew Jamie better than Jenny because of my own experience as a sibling. Once again, their relationship seems true to form. My brothers and sisters and I share a special bond. It is one forged by the shared happy and sad experiences of our childhood. No one else can truly know what it meant for us to laugh together over silly family card games nor how it felt to cry over the death of our mother. In a very real way, my brothers and sisters are the only people who can truly understand where I’m coming from and why I make the choices I do. The same can be said of the brother and sister duo of Jamie and Jenny Fraser. Some of the most meaningful conversations of Jamie’s life were spent in conference with his sister. I think of that day he returns to Lallybroch, the conversation with Wee Ian in his arms and the time he and Jenny spent in the priest hole. She knows his heart as he does hers. He loves Claire, but I’m not sure anyone understands Jamie better than his sister. Their shared experiences of joy and loss bind them together just as my experiences bind me to my siblings. 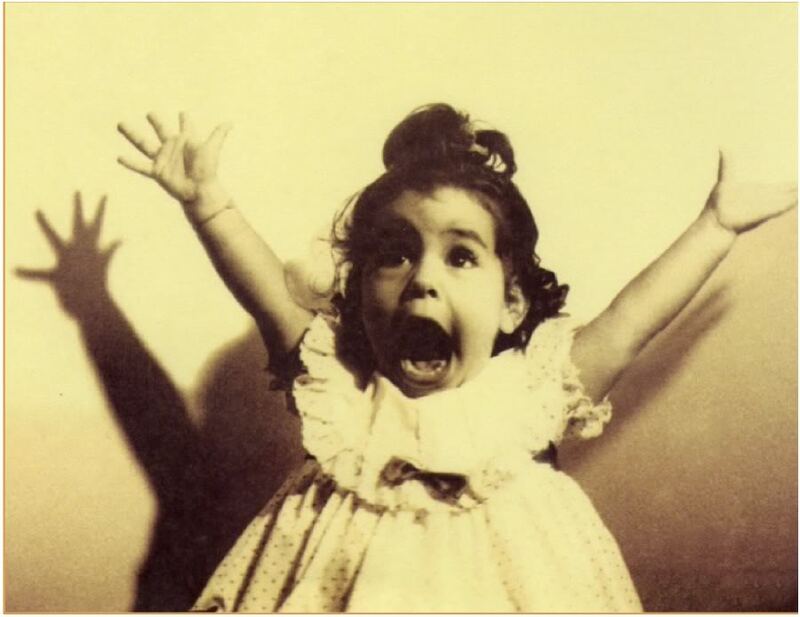 One of the great things about Ms.Gabaldon’s Outlander series is the depth with which the characters are written. She continually builds upon the foundations of previous books and deepens our understanding of the characters’ relationships. From Outlander to MOBY, the reader can follow the development of Jamie and Jenny’s relationship. Once again, she lets us see a truth about real life in her pages. I’m looking forward to the Laird’s return to Lalleybroch and to meeting his sister on Saturday night. I’m sure Laura will make a wonderful Jenny and that we will love seeing the siblings together working out their issues just like all siblings do. If this picture of Jamie reacting to his sister interrupting him is any indication then it’s gonna be great! The look on his face! I think I’ve seen that look before! On MY brother! P.S. Episode 12 wasn’t exactly like the book, but I’ve grown to kinda enjoy seeing how they meld and move things around! The relationship I saw on screen was just what I had pictured in my head and the scenes between Jenny and Claire even better! Laura’s performance embodied the Jenny we have all grown to love and appreciate! And… Who the heck were the people holding a gun to Jamie? Outlander and all the wonderful and…odd…things it has inspired. I am new to your blog, and I must say, I completely agree with you assessments! Clearly, you are very insightful and you love this Outlander world as much as I do. Thank you. It’s always lovely to connect with like-minded sisters! Thank you! Glad you found me! love new readers! It is like you are in my head! My sib relationships are close and I agree Jenny and Jamie ring very true. Her love of hom is her saving grace! Yes! From the little I’ve seen. It looks like our Jenny is going to be feisty! I am an older sister to a brother who has lived far away from me for many years. We have a close bond despite the tyranny of distance and there are things he understands about me that know one else ever could and vice versa. That’s what it is to be a sibling. I’ve always appreciated Jenny’s place and position in Jamie’s life even when they weren’t residing on the same continent! Feels awfully familiar! I thought so too. It is one of those relationships “where love is”. And words aren’t needed for understanding. I know. I try to tell people how much there is in these books and they just don’t get it. Every time I read or re re read I find something new to appreciate. Thanks for reading! It’s gonna be a battle Royal of dueling chins! Jenny is going to wag more than Jamie’s chin!! 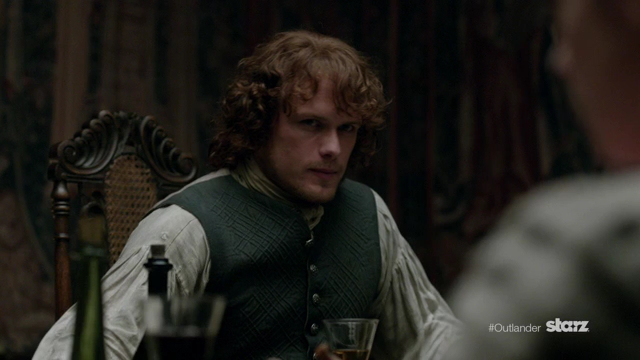 I am so looking forward to the confrontation between Jamie and Jenny. Loved it in the book. She attended drama school with Sam Heughan and they’re know each other for many years. Oh my goodness! I’ll fix! This was such a lovely and sweet post. I only wish I could be watching the series along with everyone else! That’s really great that you’re close to your siblings. I have an older sister and younger brother, and to be honest I’m not close to either one. I get along with my sister, but she’s very self-involved. (My own mother never hears from her unless she’s having a ‘crisis,’ and afterwards she’s back to ignoring her again). And my brother… well he’s really just a jerk. Lol! He has a great sense of humor and loves animals, but other than that he isn’t a kind man. He looks down on people and will purposely hurt your feelings. I really can’t imagine having a bond with a sibling the way Jamie does with Jenny. Sorry for rambling, but your post really touched me. That’s okay. Read some research that suggested that sibling relations are some of the most challenging. Relations there are! I’m new to your blog too Beth, and loved all your posts. It’s so great to hear the thoughts of someone who loves these books as much as I do. I also love seeing how the TV series adapts the books but still keeps true to the storyline, love the actors too. We’re so lucky! They have one a wonderful job! Thanks for reading hope you follow the blog. 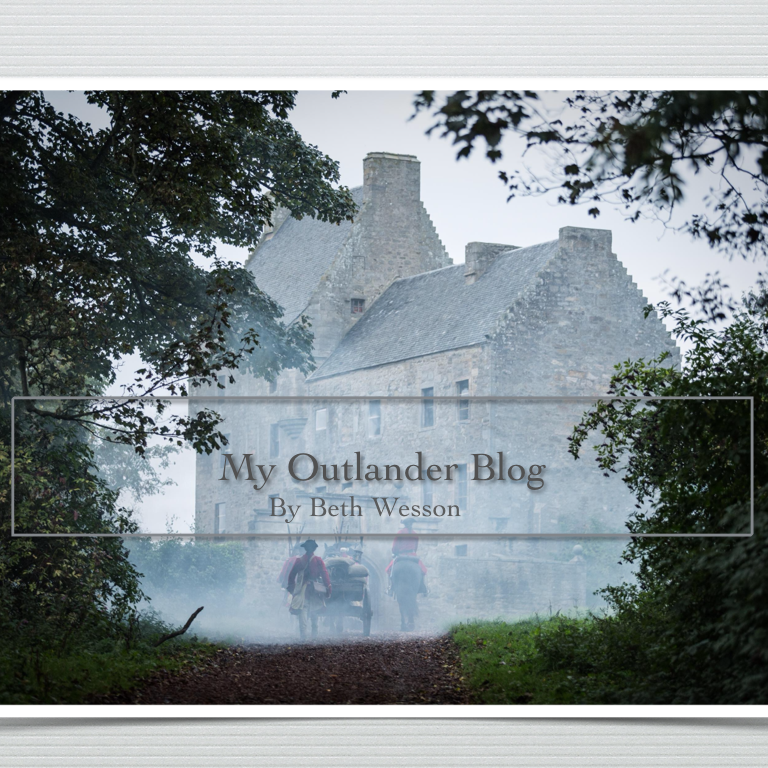 I’ve written a lot about Outlander! I’m a new reader also. And have been enjoying your blog very much. I am not one of your many, many subscribers! I’m glad you found me! Love readers! Thank you. It would be fun to actually go through the stones, wouldn’t it?